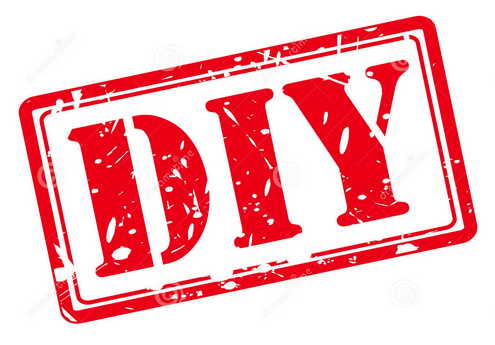 The term DIY – Do It Yourself – has been around for over a century. Originally, it referred to those that would rely on themselves for everything from home repairs to various fix-it projects. In more contemporary times, it was the anthem for the punk rock and alternative music movements that discovered that bands did not have to depend on large, corporate record companies, booking agencies or management entities to start their careers. Instead, these bands could record and release their own music, book their own shows and take their music directly to the people without the corporate middleman. Education is no stranger to the DIY movement either. Indeed, much of the spirit of charter schools was the idea that a group of like-minded educators, parents or community members could start their own schools based on the needs of their students. So, what is the DIY movement mean now to the profession of education in this era of technology integration, increased relevance and engagement, and the idea of all education becoming more personalized. Well, now more than ever, we live in a world where educators have the opportunity to DIY their own curriculum, project ideas, technology, professional learning, collaboration and more. Let’s examine the opportunities that educators have, among all professionals, for on-going professional development and learning. At one time, all professional learning for all professions including education essentially took place at various professional gatherings (conferences, workshops, etc.). Naturally, these did have professional impact (and still can), but they are now not the only or even the most readily available professional learning opportunities. Educators can now connect, communicate and collaborate with other like-minded educators globally through thinks like Twitter and Social Media, educational blogs, thousands of web resources and more. There are now educators from around the globe that are sharing ideas and best practices on a daily basis. These educators are not limited to their location, administrators, curriculum leaders, teacher unions, school district officials or any other allegiances. They can connect with other educators who are passionate and have the common goal of creating the most impactful educational experiences for all of their students. In terms of curriculum, there is now an overriding opportunity more than ever for educators to combine various resources and ideas and create their own learning experiences for their students based on their interests, abilities and needs. Despite the extreme right wing hoopla over common core, the new standards are focused on 21st century skill development vs. specific content or curriculum. The days of textbook adoptions and standardized curriculum are on the way out based on the fact that there are literally thousands of tools, web resources and curriculum being developed and implemented daily. Even if an educator works in a very closed or narrow system, they have the ability to find and implement many different ways of connecting with and impacting their students. I understand that the DIY philosophy is not inherent in our educational system and will not be comfortable to all. Indeed, too many educators are still too afraid or unprepared to create and implement their own amazing activities in the classroom. Our teacher training systems have not prepared young teachers to focus on creativity and collaboration in terms of curriculum. However, if they can get past the fear and adjust their pedagogy appropriately, it will be very difficult for various leaders, systems or agencies to discredit the amazing or awesome work that their students are doing. In other words, if students are engaged and learning at high levels, most people will join the bandwagon of that teacher or educator. If one’s students love the learning experiences they are having, it will be very difficult for others to not celebrate and support them. The DIY philosophy has dramatically changed many industries. The time has come for educators to embrace the DIY philosophy as well and unleash the creative and collaborative educator within.